The 6th annual international Open Access Week is here! This has been another banner year for open access publishing — as reported on Science Insider (a blog at Science), over half of all scholarly papers are now available open access and free of charge no later than 24 months after they’re first published. That’s a milestone worth celebrating! I’m looking forward to the events this week happening at my college and university, as well as living vicariously through the events happening elsewhere via Twitter and the blogosphere. I’m sure there’s loads of great stuff going on all over; here are a couple of events and thoughts that have caught my eye. This idea was a browser-based tool which tracks how often readers are denied access to academic research, where in the world they were or their profession and why they were looking for that research. The tool would aggregate this information into one place and would create a real time, worldwide, interactive picture of the problem. The integration of social media and mapping technology would allow us to make this problem visible to the world. Lastly, we want to help the person gain access to the paper they’d been denied access to in the first place. Through incentivising use and opening the barriers to knowledge, this can be really powerful. Today, in honor of Open Access Week, they announced their beta launch date: November 18th. Sign up to be a beta tester here. Florida State University Libraries are hosting an interesting event this year — a workshop to encourage and guide faculty and researchers through the process of uploading their work to the university’s institutional repository. Called the Upload-A-Thon, they’re striving to have at least one faculty member from each department at the university to upload at least one article that’s already been published. I really like this idea — in addition to the catchy name, it sets out a modest goal and aims to help demystify open access for those new to the concept. I’ll be interested to hear how it goes. I eavesdropped on an interesting conversation on Twitter over the weekend. Most folks think of journal articles when they think of open access publishing, but what about book chapters? Books tend to be less of a focus of OA activism, though as some of the folks I listened in on pointed out, interlibrary loan isn’t always possible, so maybe books should play a bigger part in OA advocacy efforts. Lots of publishing librarians publish their work as part of a book, myself included — can we make these chapters OA post publication as many articles are? It’s a great question and one that likely has many answers depending on which publishers we’re working with. I have several pieces that appear in books and have let this question go unanswered for myself for far too long, so this year for OA Week I’m going to take the time to dig out those old contracts and see what I can free. 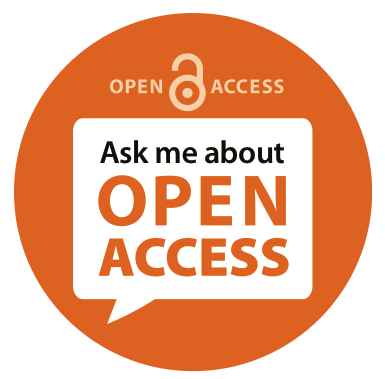 What are you doing to celebrate Open Access Week this year? Are you attending or presenting in any workshops or programs? Share your thoughts and experiences in the comments! Author Maura SmalePosted on October 22, 2013 October 22, 2013 Categories Open Access, Scholarly CommunicationsTags book chapters, institutional repository, open access publishing, open access week4 Comments on Happy Open Access Week!